Timex is one of the leading watch companies, which offers a wide range of the watches for the customers of different ages and tastes. The story of the brand started in the middle of the 19th century. The watch company Waterbury Clock for 20 years, from 1850 till 1870, will make available to watch the American working class. Models of these watches are reliable, inexpensive, and serial production. In 1880, a subsidiary of Waterbury Clock released the first cheap mechanical pocket watches, which had the huge success. In the production of the Waterbury Clock watches worked mainly women, because they perform better the diligent and delicate work, and they have great skill with fingers. The pocket watches of the brand Waterbury Clock were sold in America, Europe, Japan and even in Africa. In the beginning of the 20th century, Waterbury Clock and Ingersoll made the cooperation treatment and launched the pocket watches “Yankee”, which cost $ 1. The watches “Yankee” were worn by all social groups at that time. During The First World War, commissioned by the U.S. Army, the pocket watches “Yankee” had been converted to a watch worn by soldiers. In 1933, the brand Waterbury Clock, commissioned by Walt Disney produces watches featuring the cartoon character Mickey Mouse with the price $ 1.50. At the present time, these watches are valuable collector's items, the price of which increases with every passing year. During the Second World War, the Waterbury Clock company was renamed into US Time Company. For the production of the military products, all factories of the company have been re-equipped and released the record number of the movements of the high-quality for the antiaircraft mounts and the artillery. The experience, which was gained during the war and the research made in the field of the advanced methods for the mass production, helped to create the world's first reliable, but not expensive mechanical watches. In 1950, the company has released watches Timex. The Timex watches had various tests, such as the rotation during 7 days in a vacuum cleaner, the freeze in an ice cube, the latching in a claw of a giant lobster and etc. After these tests, the Timex watches continued to work perfectly. The Timex watch fame helped to John Cameron Swayze (popular reporter at that time),who was telling in his programs about the tests, probed on the watches Timex. In the late 1950-s the Timex watches became one third, of the sold in the U.S. watches. In 1959, the company which upgraded and modernized the production line, created the first female model “Cavatina”, which had a commercial slogan: the watch is the constant movement. Because of the technological developments, the company had the wide range of the watches, such as the models at the affordable prices, the watches, which were decorated with precious stones, as well as the first digital watches for men and women at affordable prices. In 1961, the Timex brand has developed the improved movement, which was used in the extraordinary new collection of the men watches. By the mid-70s, the company was renamed Timex Corporation. Sale of the movements by this time reached more than 500 million, and every second watch, sold in the U.S., was the watch of Timex, which has withstood the watch crisis of the 70-s. In 1986, the brand Timex, outsource the production of the mechanical to the digital watches in the collaboration with famous sportsmen, has released the line "Ironman Triathlon ®", which became popular in America. In the 90s Timex brand is developing the technological innovations. The first electroluminescent dial in the watch industry was created by Timex in 1992. In some analog and digital watches Timex was made the blue-green Indiglo ® (the night light). Currently, more than 75% of the Timex watches have the micro-light Indiglo night light ®, which operates during all day. The technology, which is used in Indiglo ®, is based on the material, which provided contrast between the background of the dial and the digital indexes, and is similar to a hologram. In 1994, the brand Timex produced the wrist watches Data Link ®. These watches have the functions of the phone book, the organizer, and provide other personal information. The company Timex, in collaboration with Microsoft, has created the software that allowed to combine the personal computer with the watches for data transmission. The system i-Control ™ was developed and released in 1998 by the brand Timex in conjunction with the Motorola company. At the same time was released the wrist pager Beepwear ®. The Millennium the Timex company met with the assurance of the quality of its products. The Timex company is a leader among the manufacturers, which produce accessories and jewelry. For the company Timex work 7,500 employees on 4 continents. It's possible to buy the watches Timex by representatives of different social layers, because the prices of the brand is available to them. Collection of the watches Timex: The collection Sport Advanced is designed for the sports fans and the professional sportsmen. 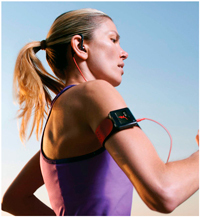 These watches record your heart rate, monitor, keep in the memory and analyze key indicators. They have the system of GPS, which tracks the fixes the distance and speed, and the database Bodylink, providing the connection to a computer. The system displays the distance, the rate of heart rate, speed, and simultaneously controls the operation. The collection Outdoor includes two popular lines: Reef Gear and Expedition. The first line includes the models designed for the water-based recreation, from fishing to diving, and the second line, the models for the forest and mountain hikes. This collection combines style and high technology. The watches have the functions which are necessary in outdoor recreation and travel. Colors, materials and design of the watches are successfully combined with equipment for the tourists. In the line Expedition E-Tide the watches are available with the additional measuring instruments. The models E-Tide are equipped with the compass and the thermometer. The kids collection Youth Kids is made with the help of pictures, bright colors and graphic elements. Al the watches of the collection have the micro-light Indiglo. These watches are equipped with the clip “Grip Clip”, which is fixed the watches on a belt or a bag. The watches T Series perfectly combines the technological innovations with the traditional design of the modern style. They are the most expansive watches of the brand Timex, they are based on the advanced manufacturing sciences. The brand Timex launched the collection Diamond with the diamond encrusted watches. The vanguard collection is Timex – Retrograde. This collection is for the people with the exquisite taste, for the amateurs of the vintage art pieces, for the people who has the different view. The watches Timex is the perfect quality, the reliability, different functions, the high style and the affordable prices.